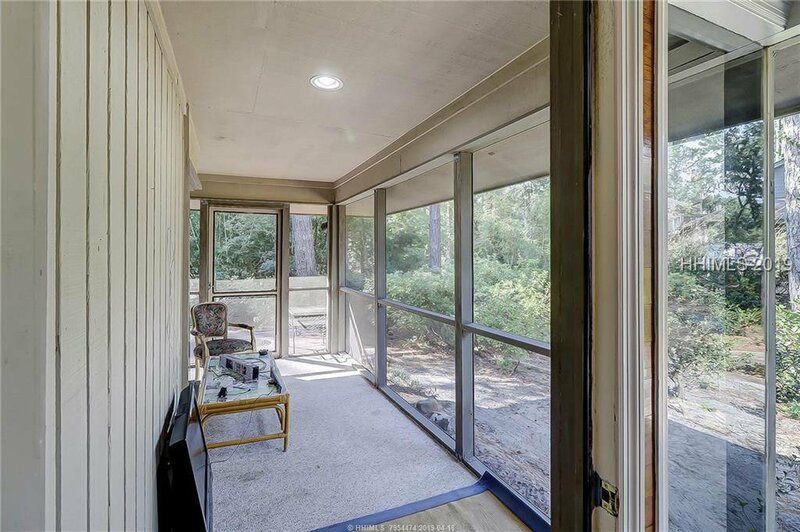 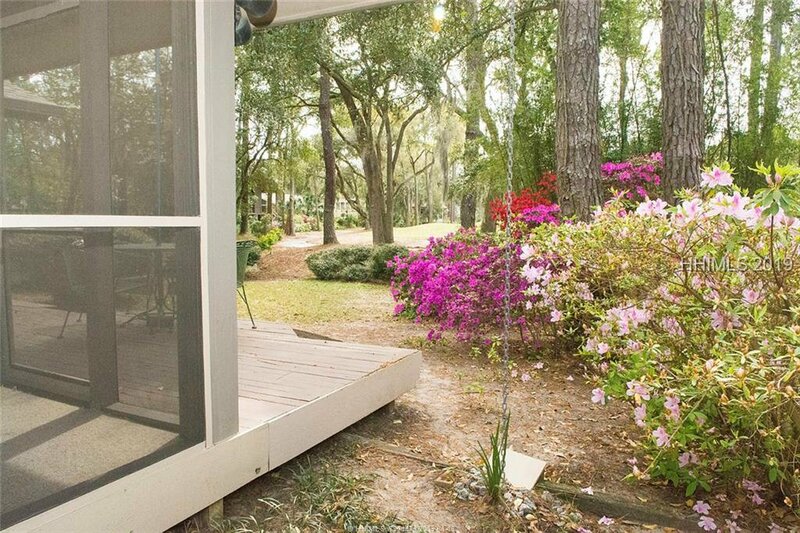 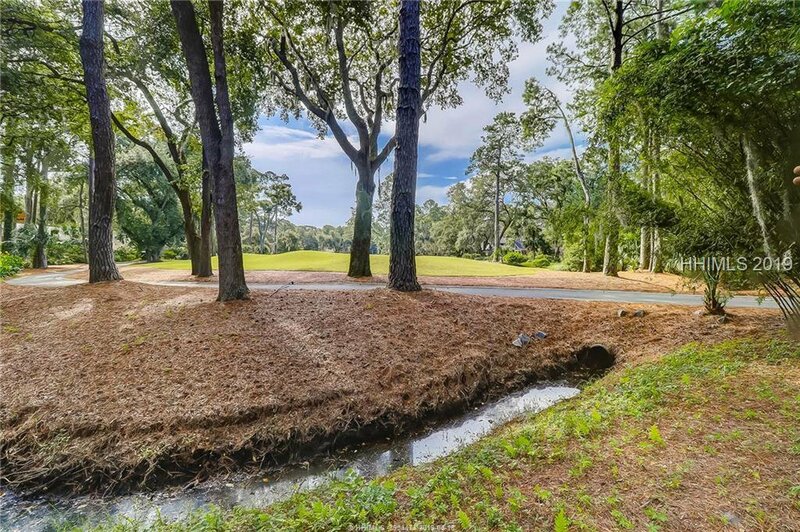 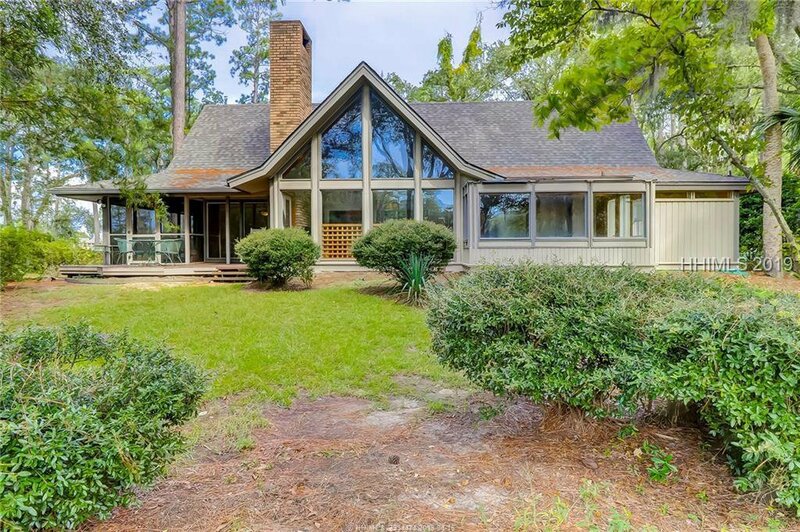 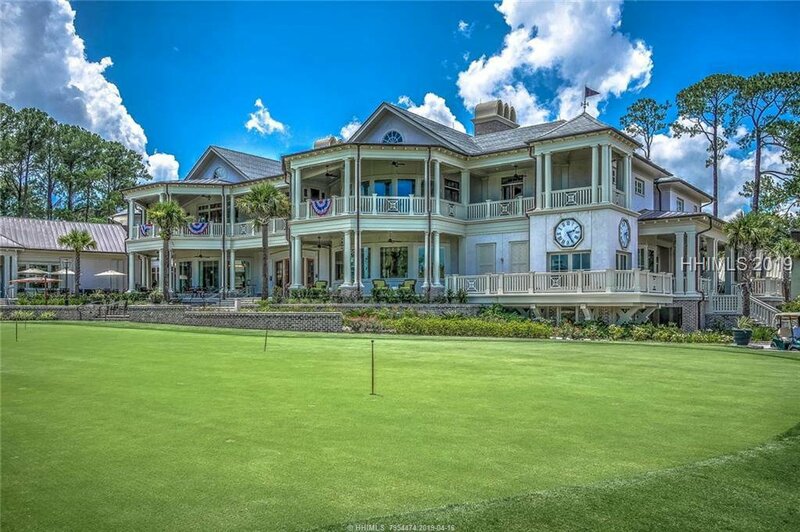 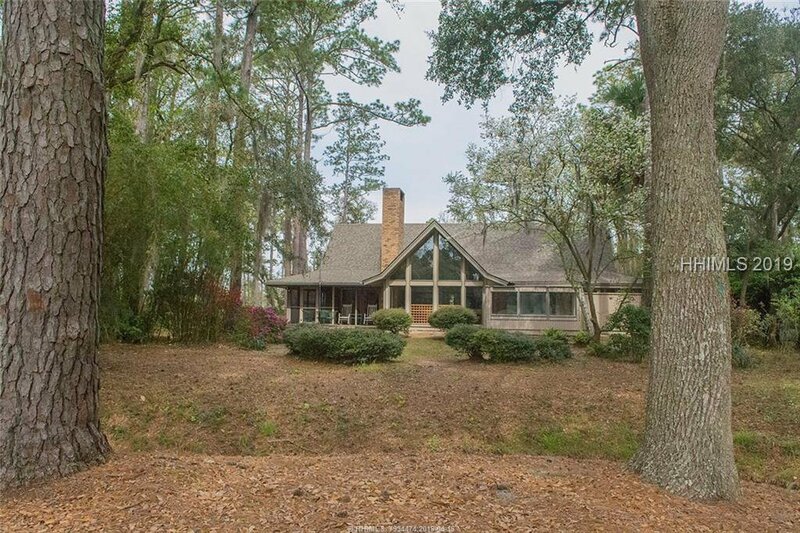 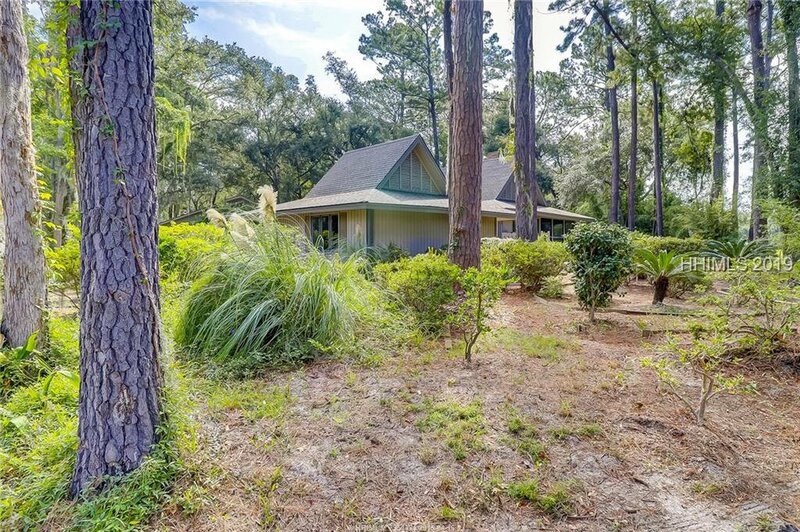 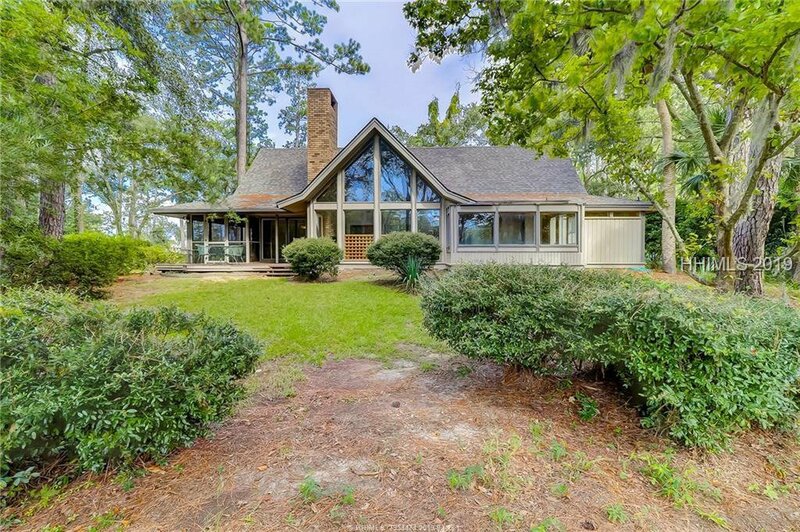 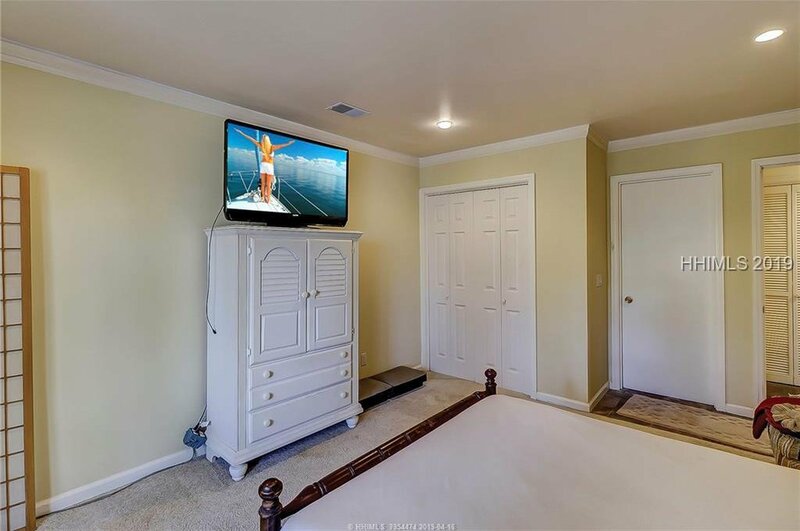 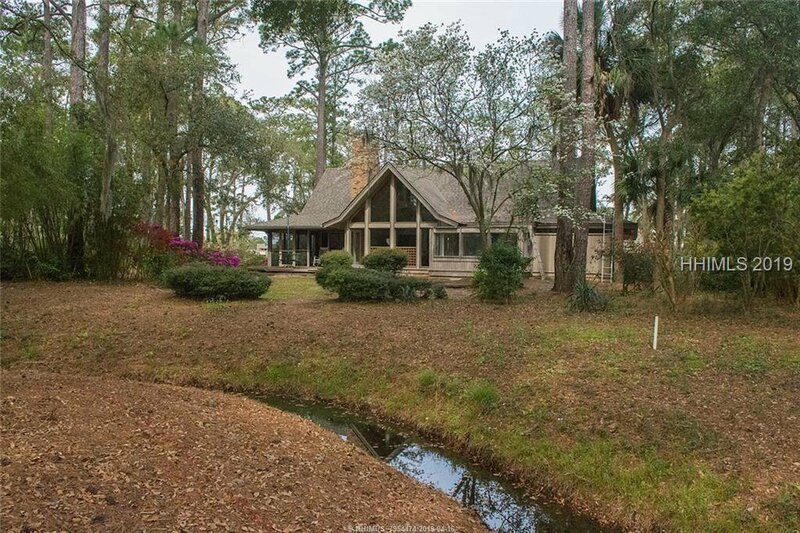 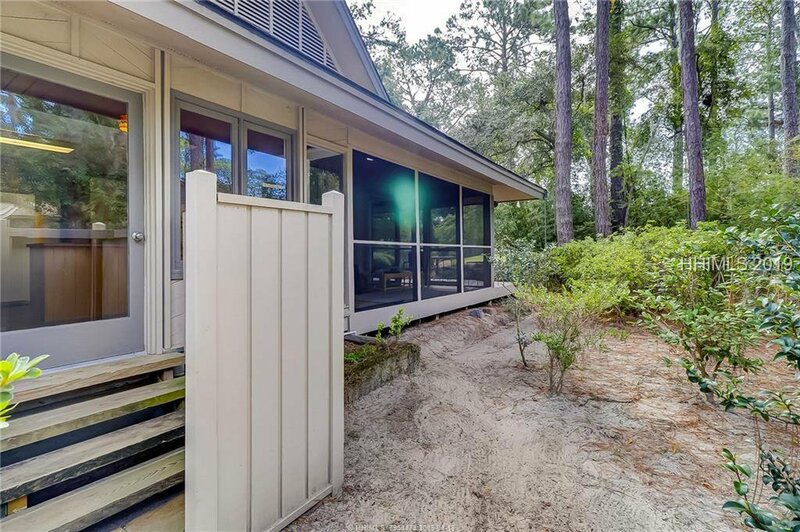 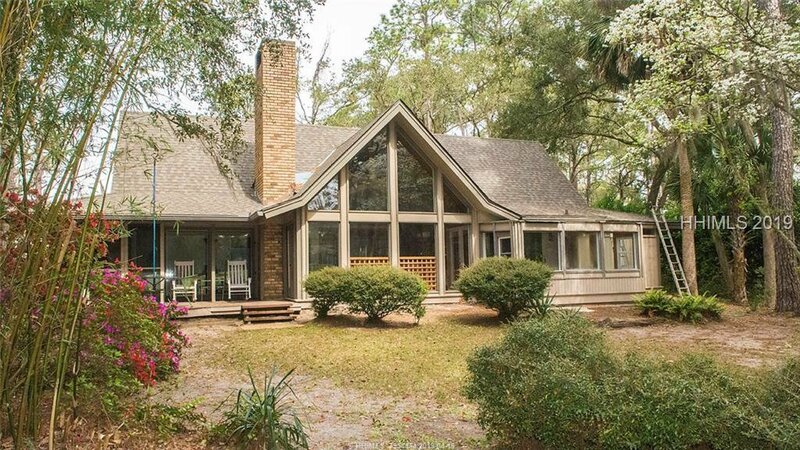 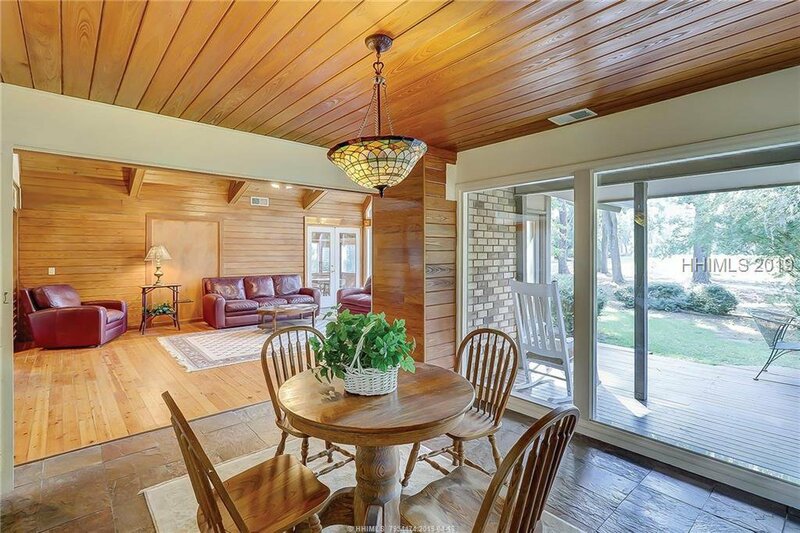 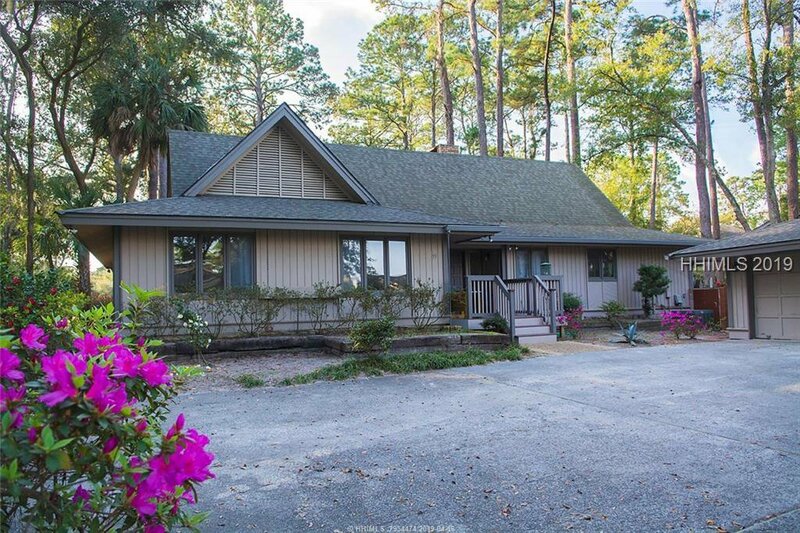 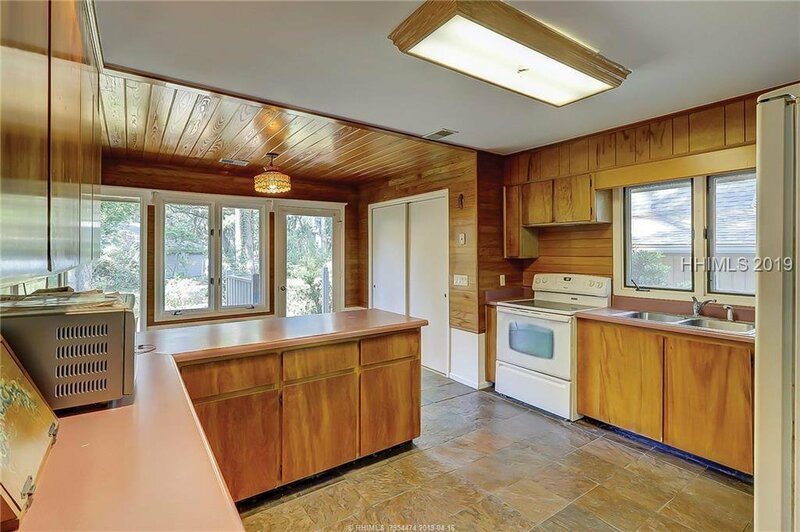 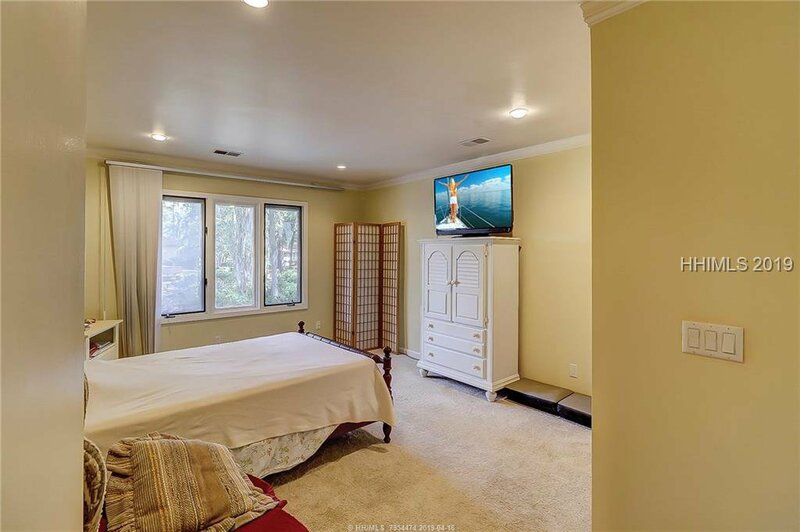 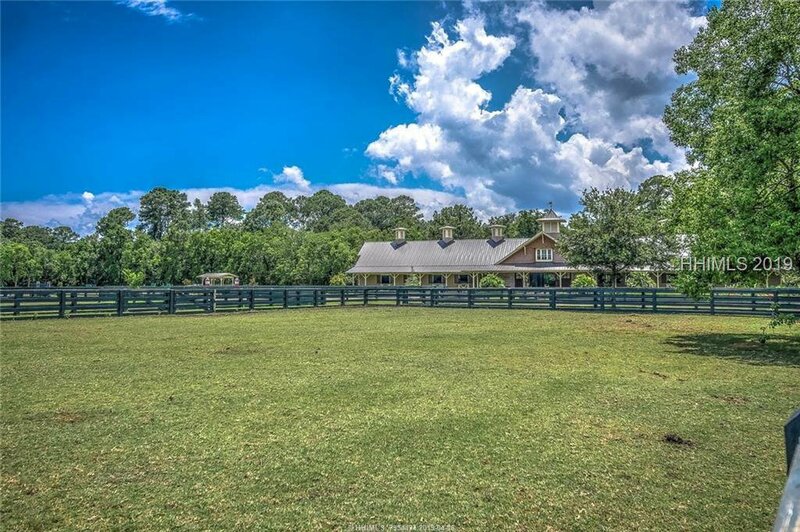 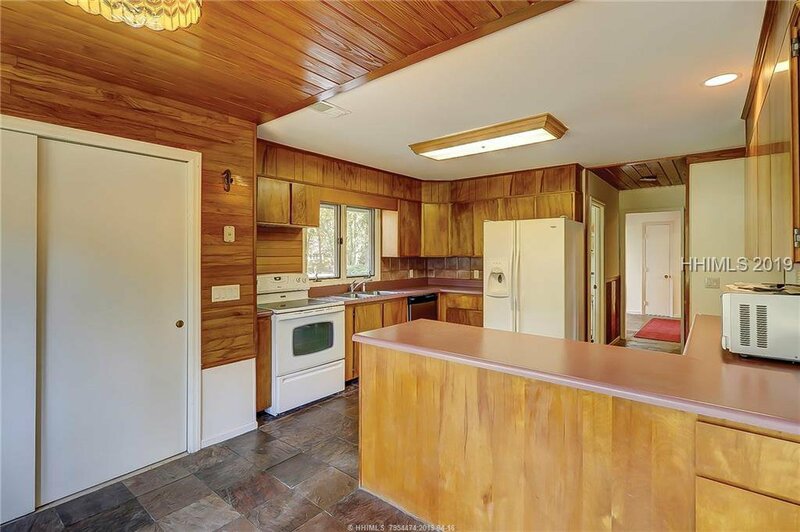 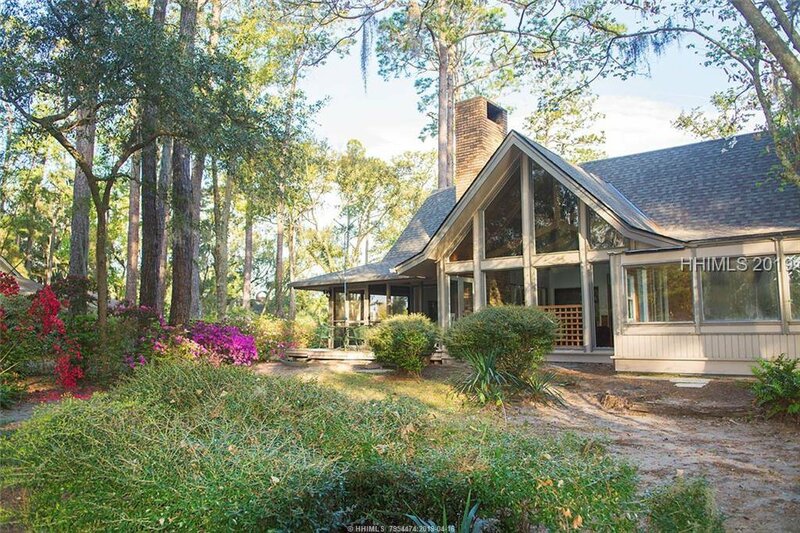 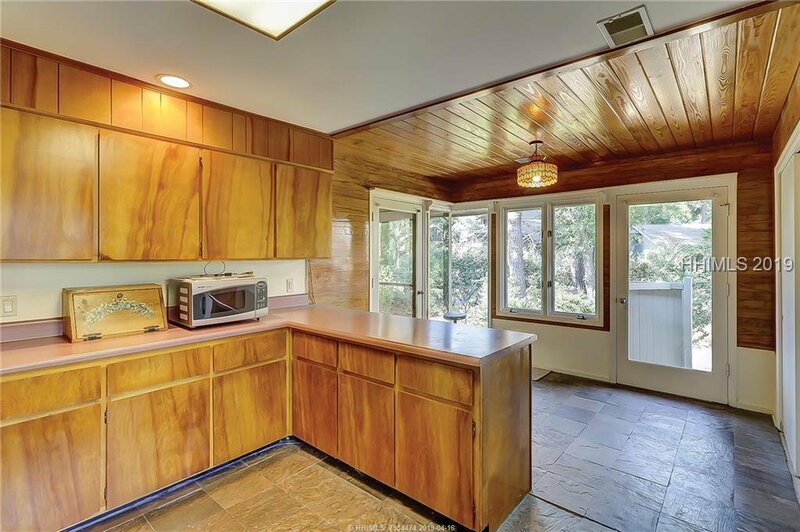 Enjoy beautiful views of the 15th hole of the Sea Pines Country Club Course from this 3 BR, 2 BA home. 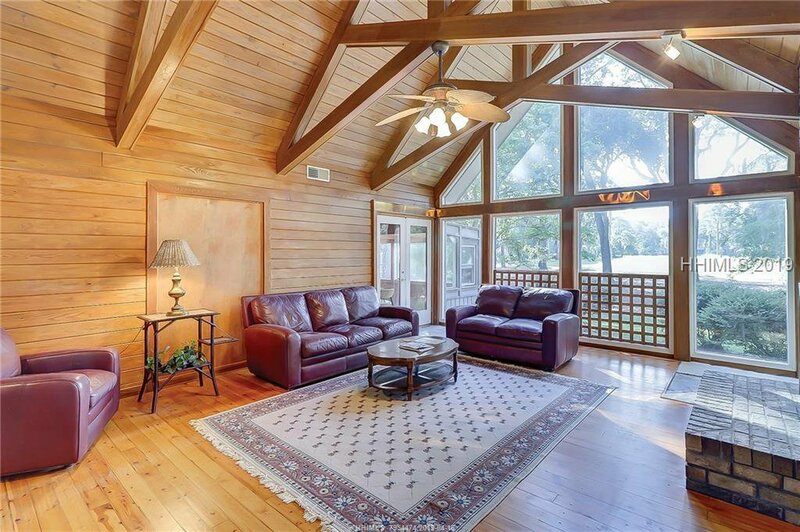 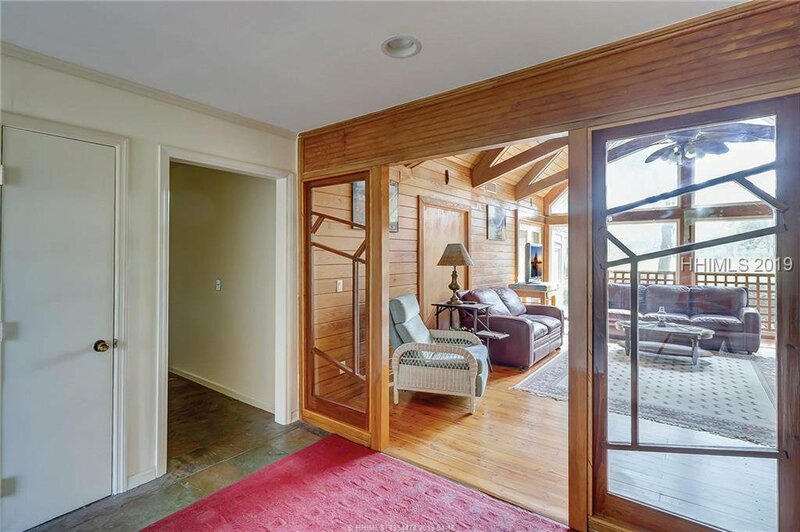 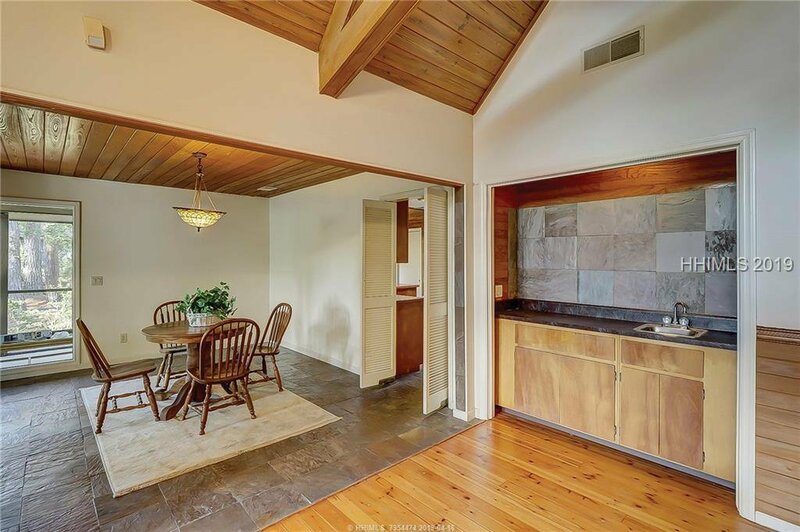 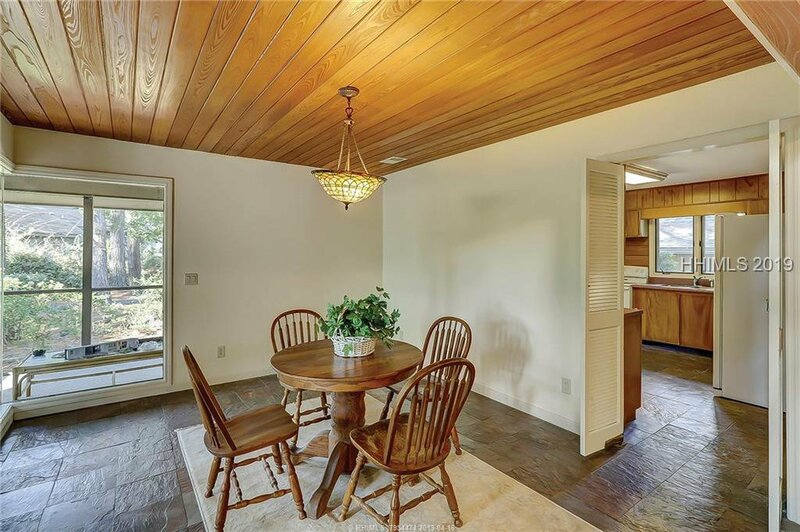 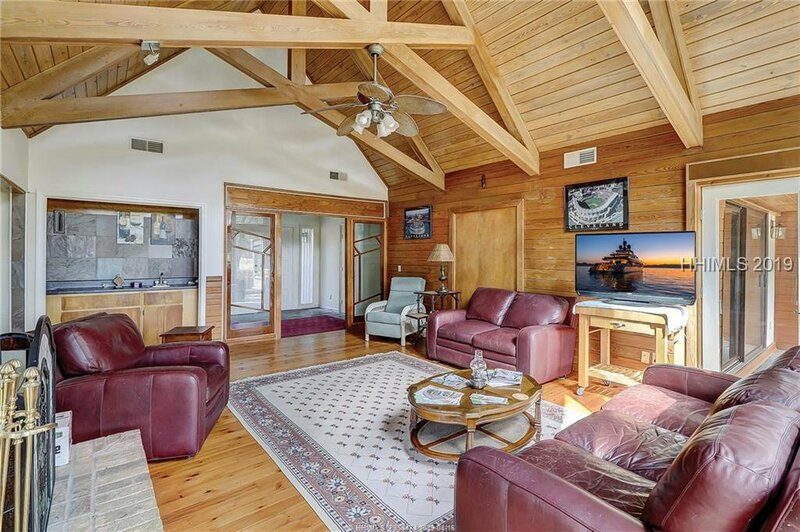 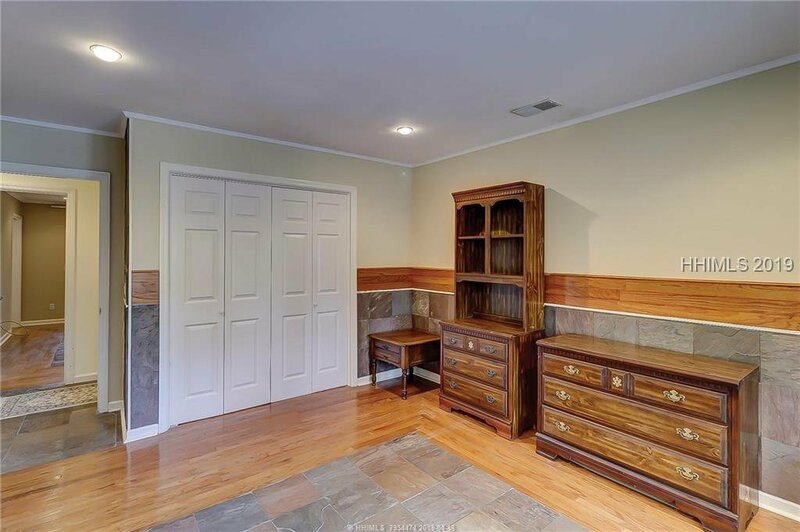 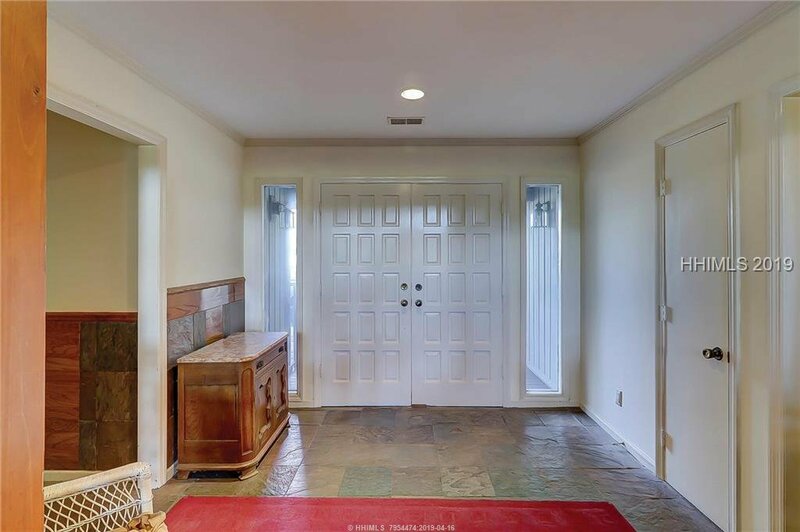 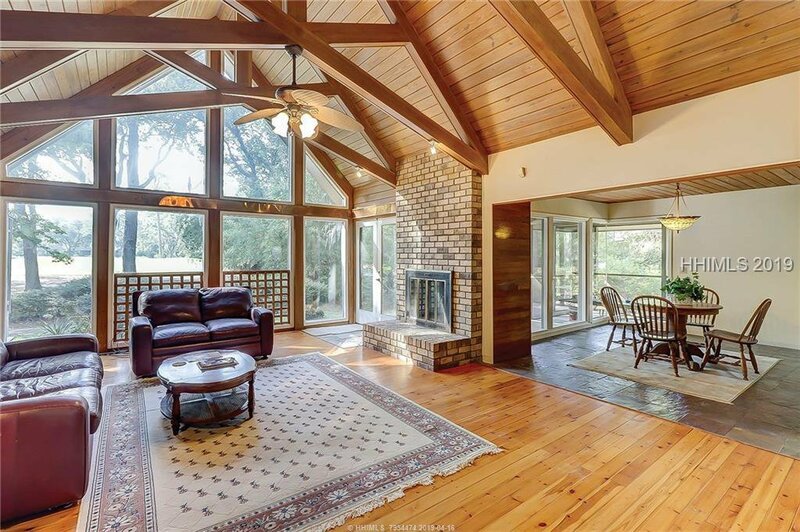 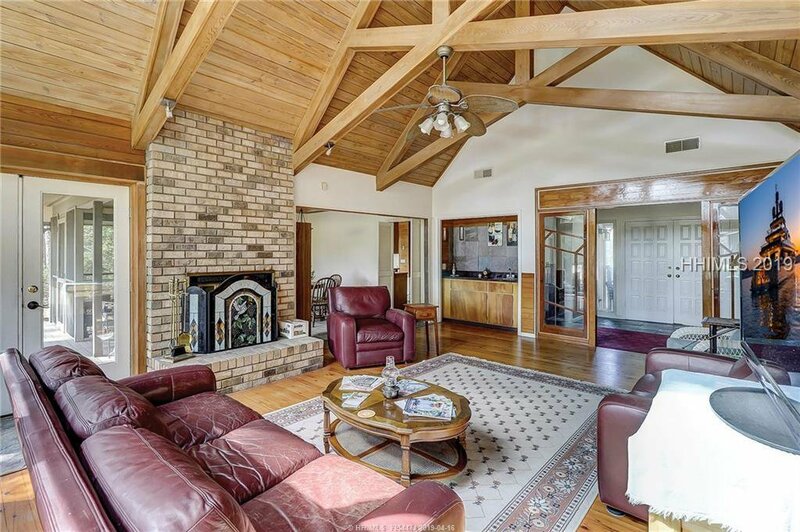 The great room has large vaulted ceilings w/beautiful woodwork, exposed beam & brick fireplace. 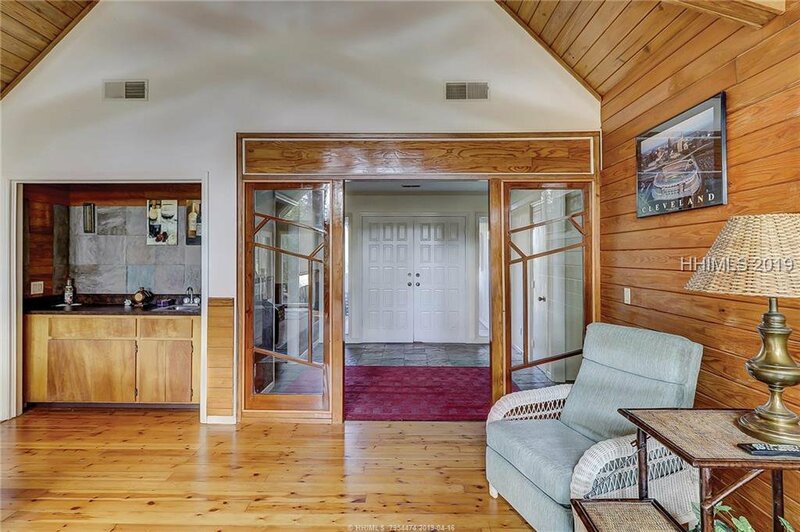 Stationary panels in foyer are from Frank Lloyd Wright House in Yemassee, SC. 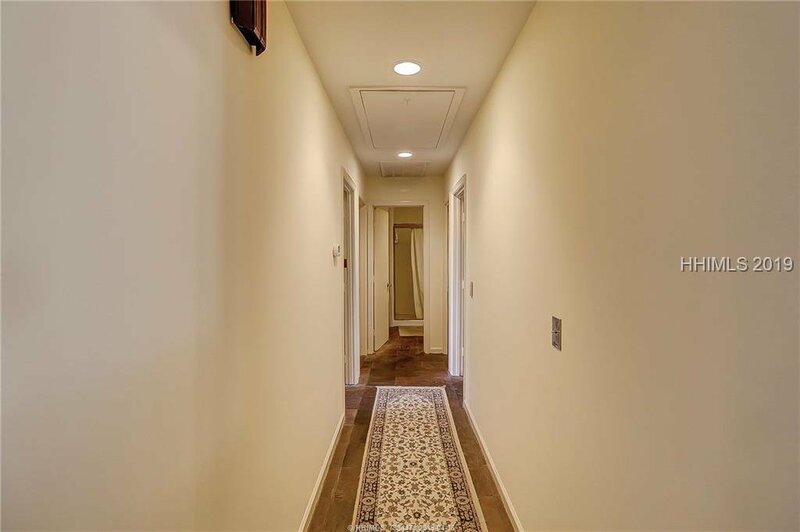 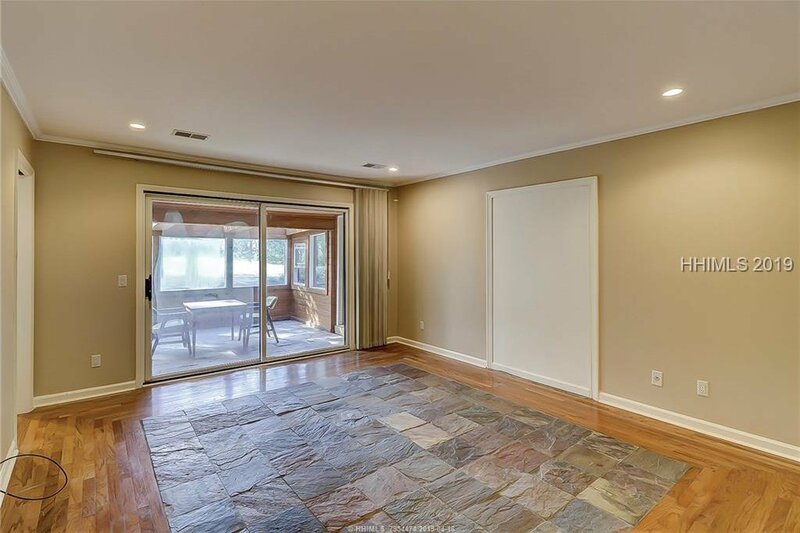 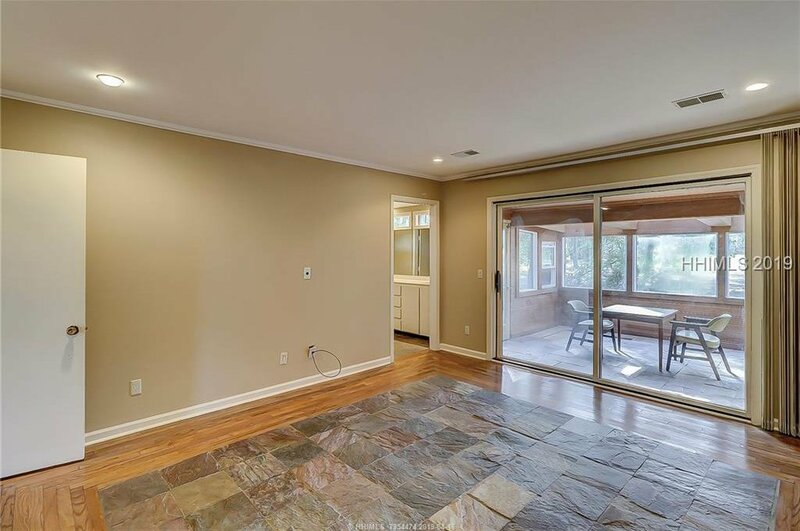 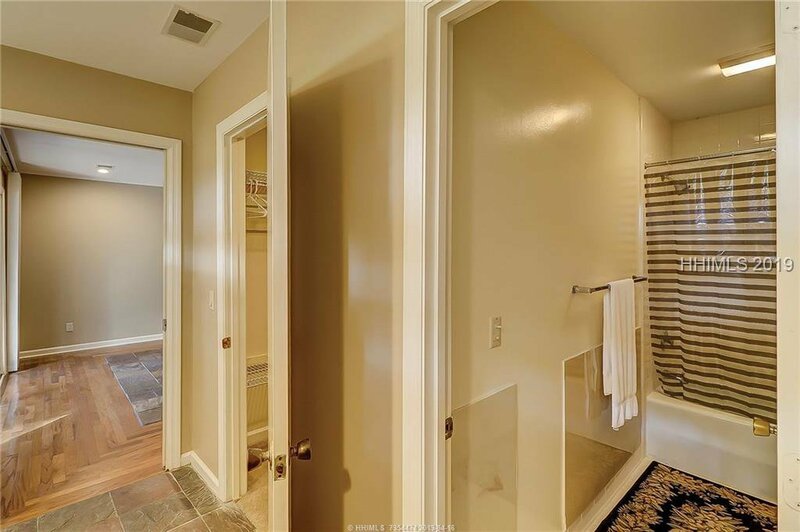 Hardwood & slate floors throughout the home. 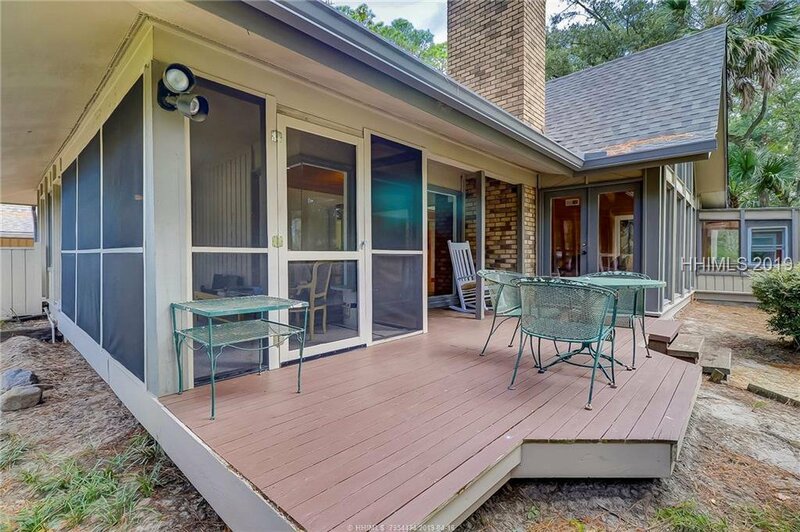 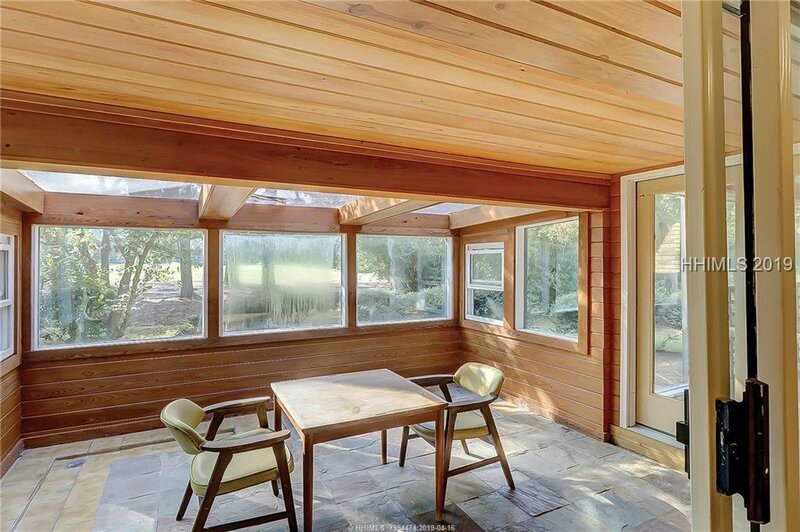 Enjoy outdoor living w/multiple screen porches & decking. 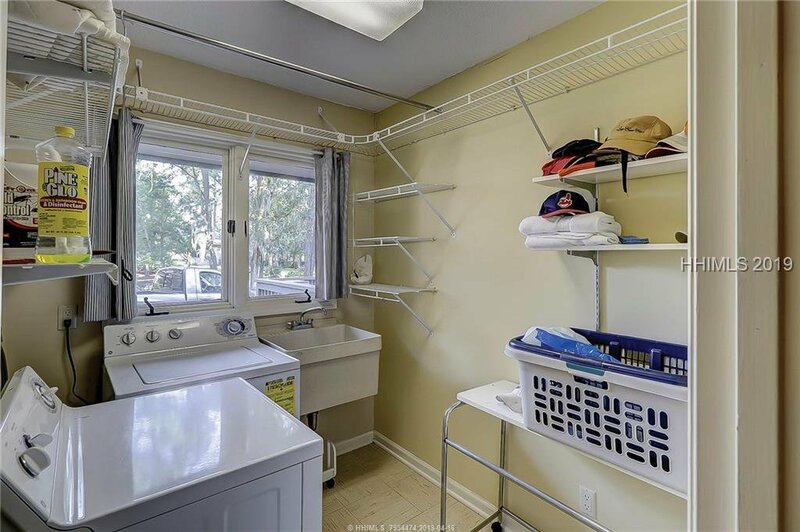 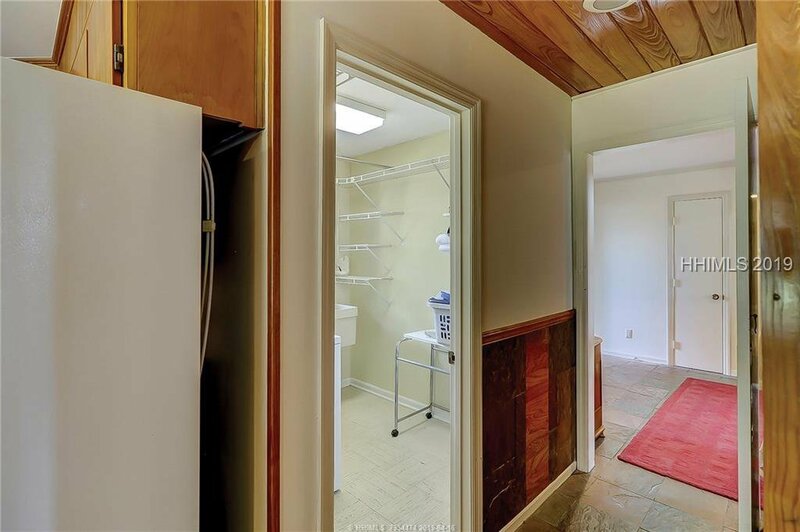 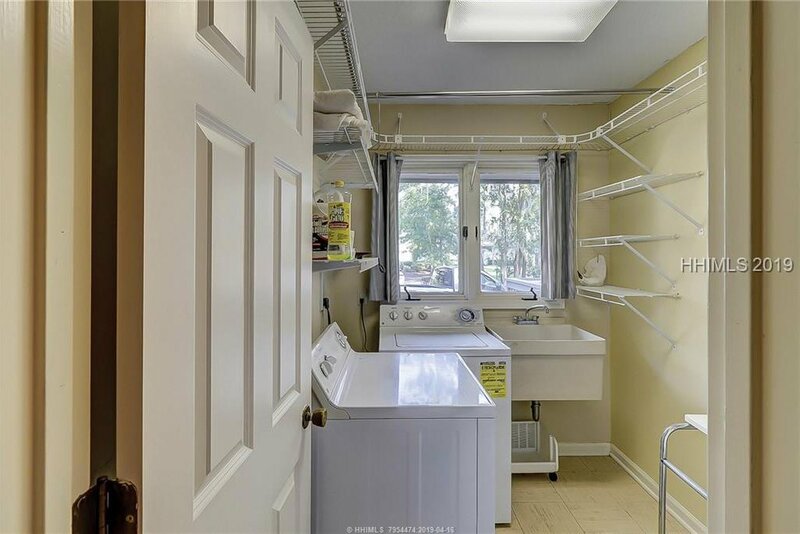 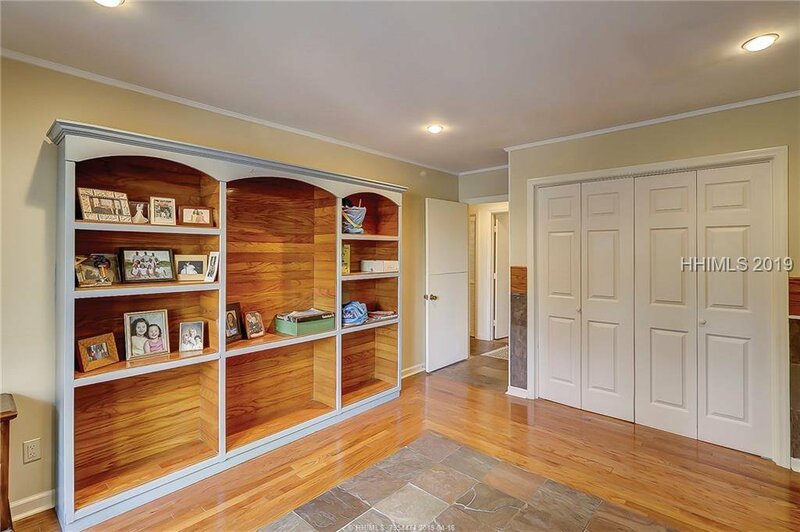 The 2 car garage is spacious & offers much storage above. 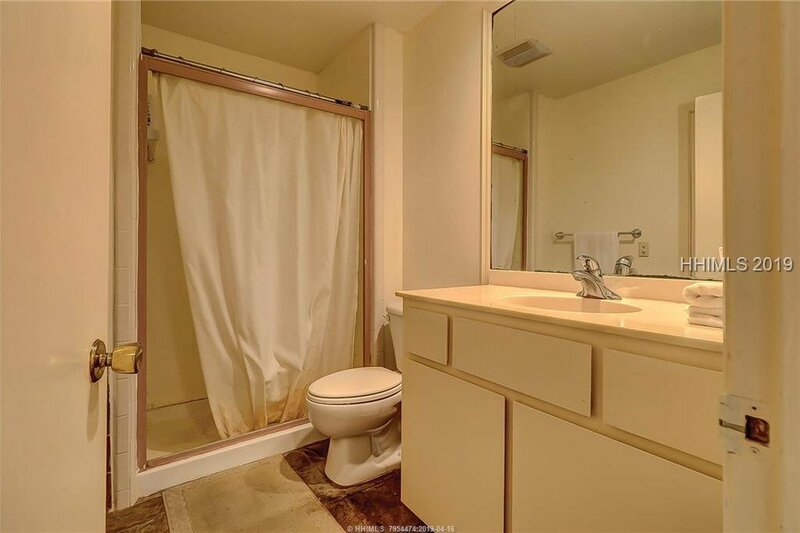 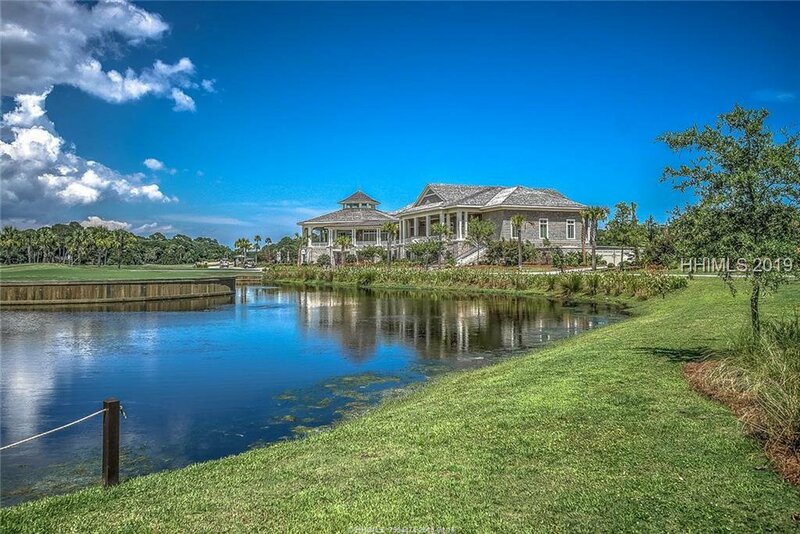 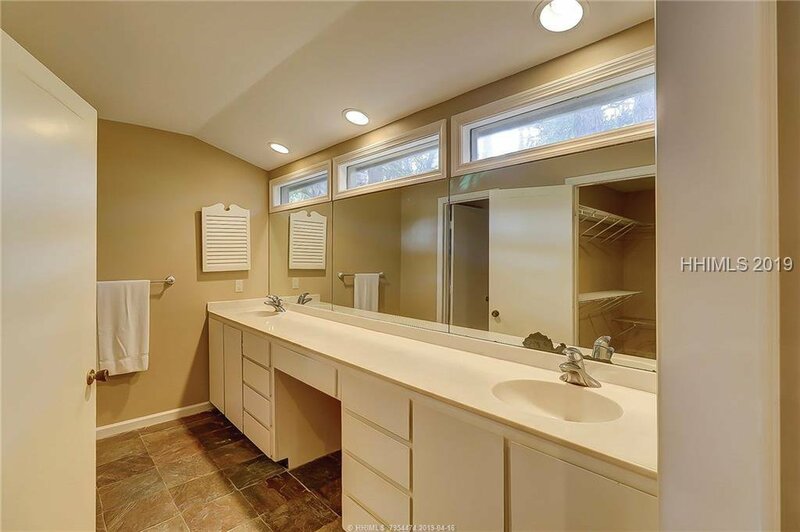 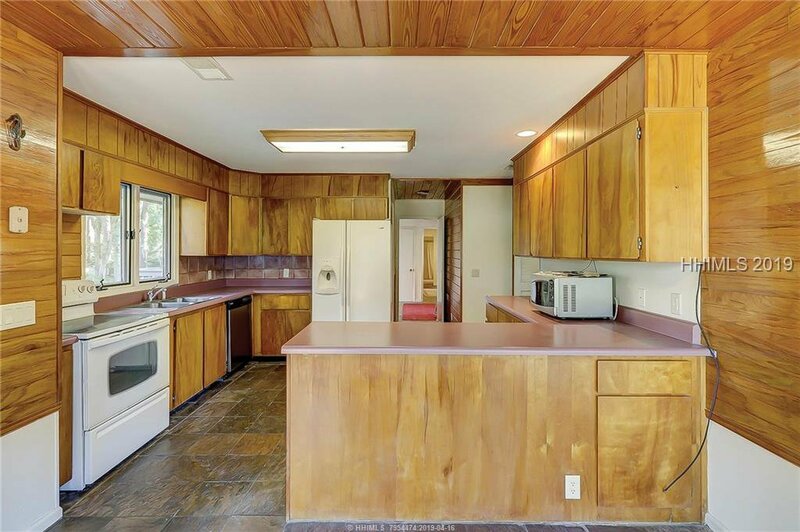 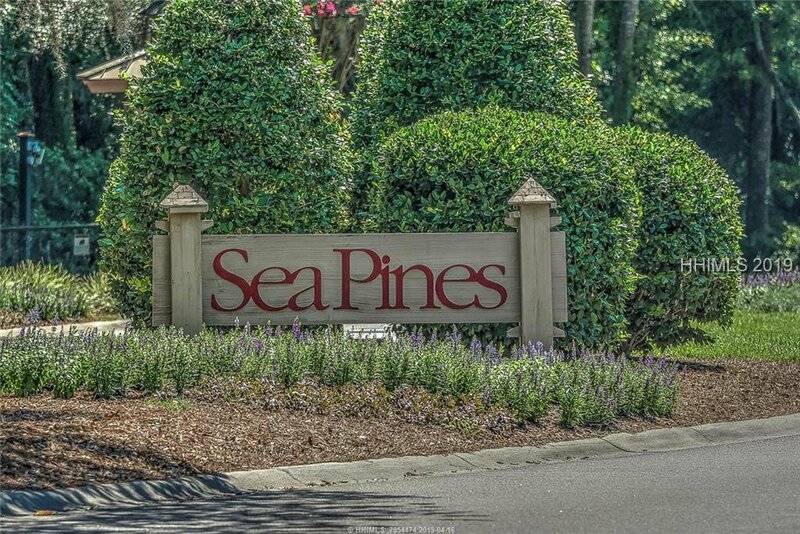 This is a great opportunity to make your own Sea Pines dream home. 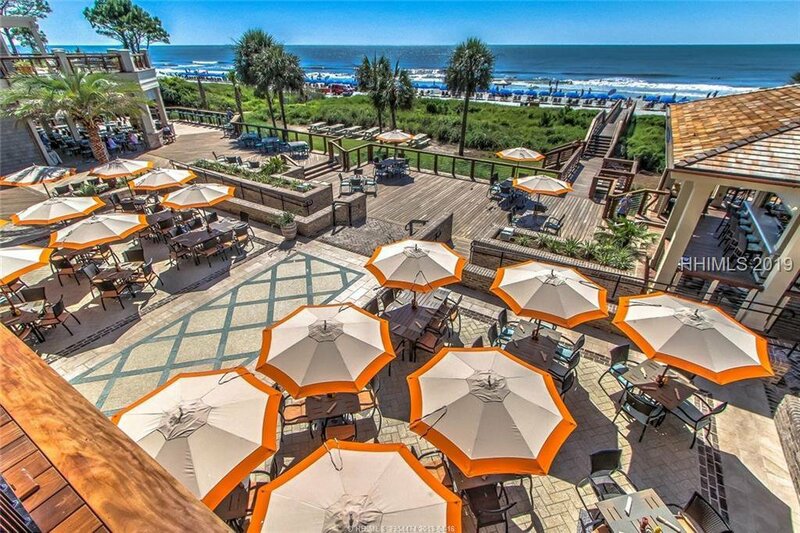 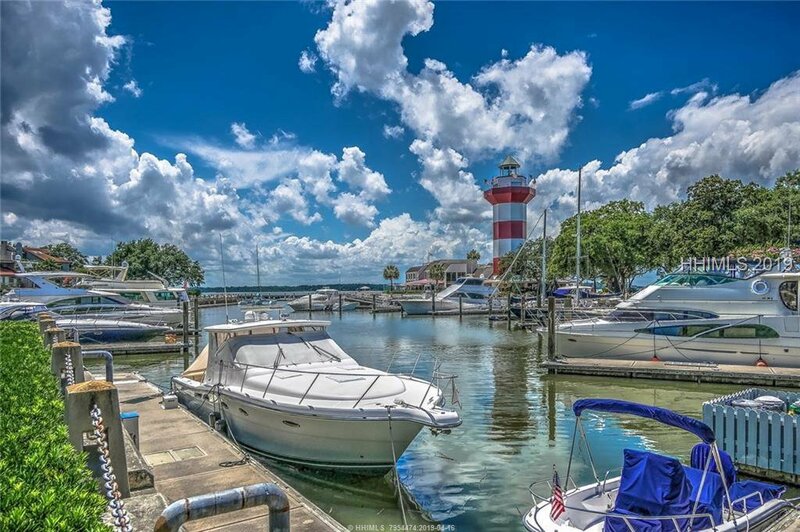 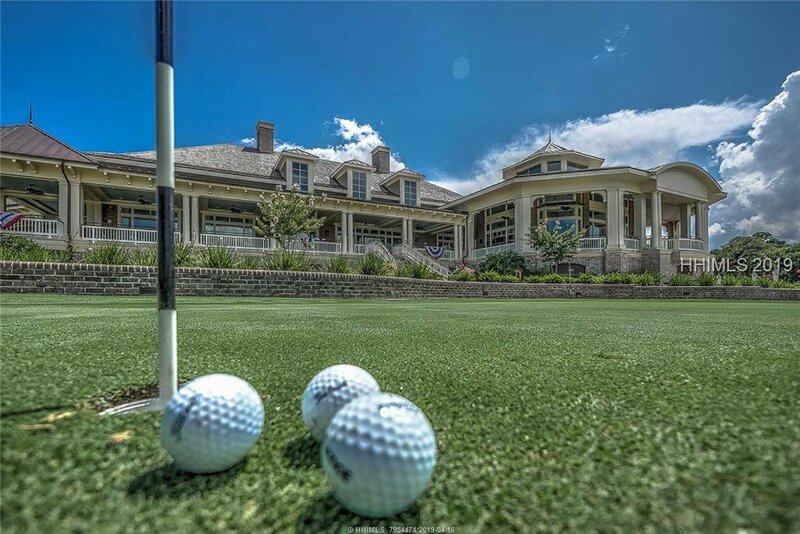 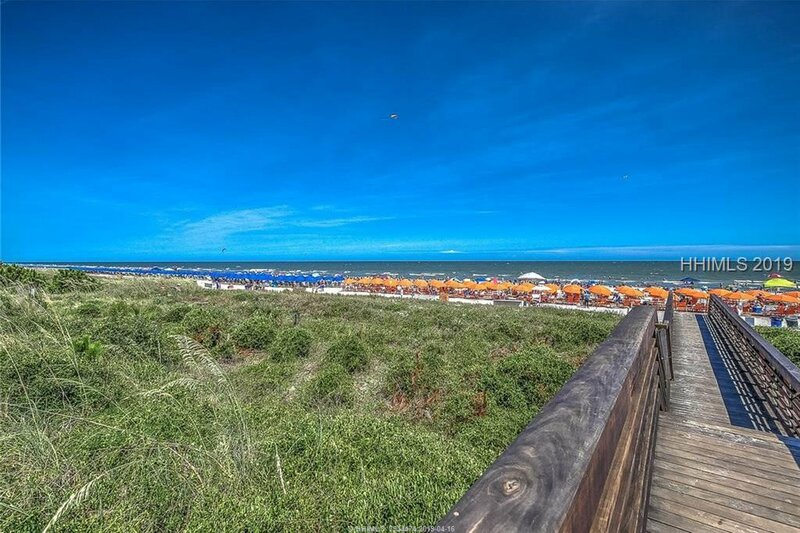 Sea Pines is the original ocean front gated community on Hilton Head Island & boasts restaurants, multiple golf clubs & more. 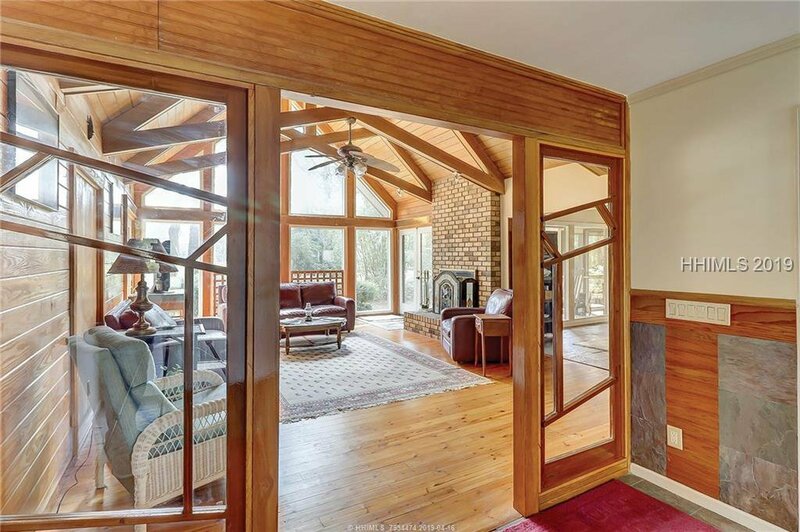 Come & see today!